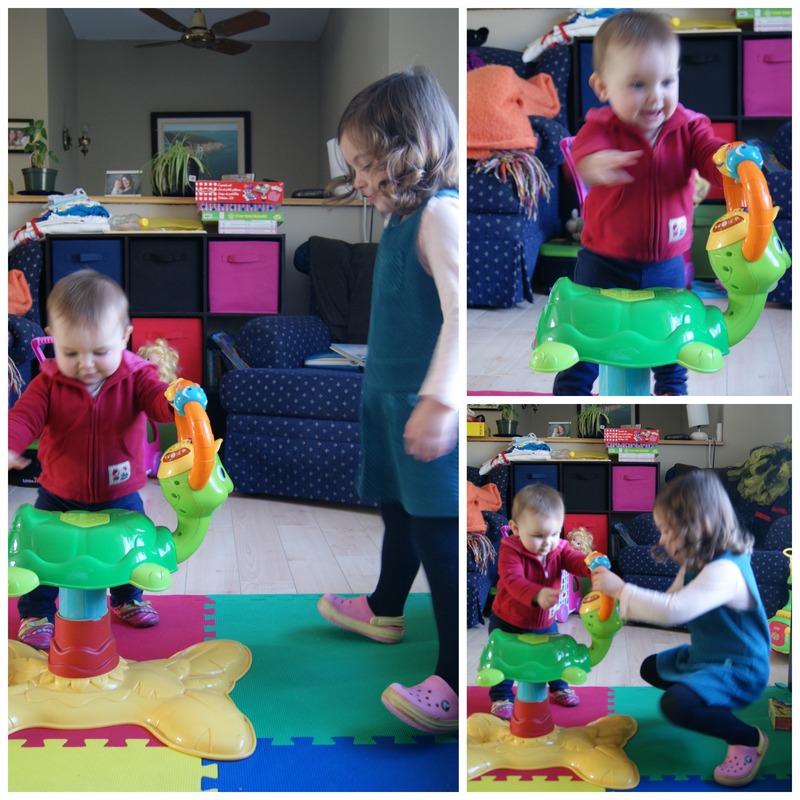 Monkey Update: Hilary is 11 Months Old! Good god, how did we get here? Hilary is 11 months old and counting. Time just goes by way too fast when you have little ones. I’m feeling pretty blessed to have had this year off (and whole year off when Lilly was born) but now reality is setting in and I head back to work in less than a month from now. 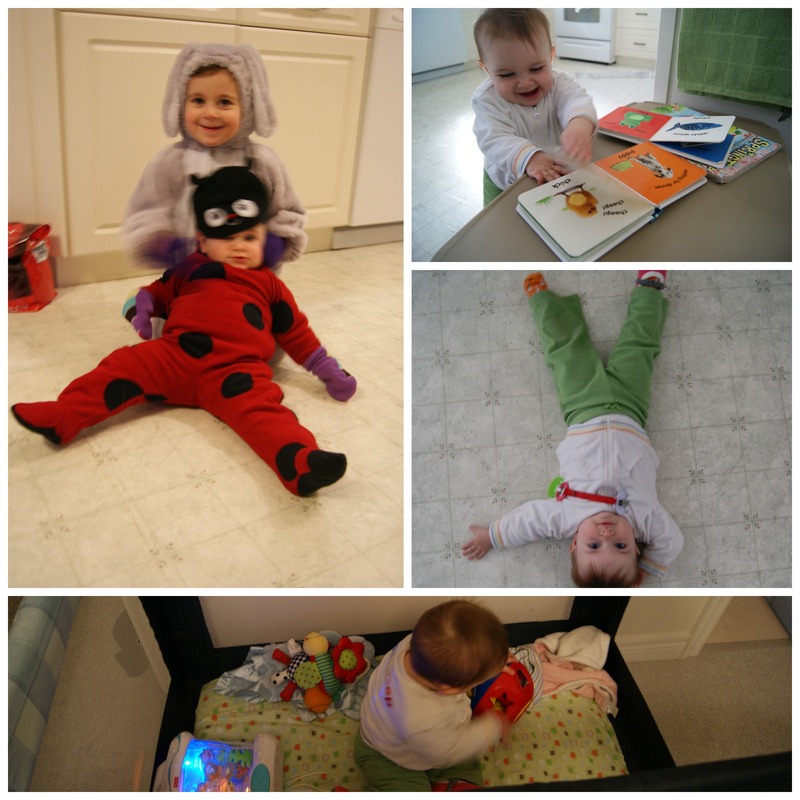 Hilary Elise – 11 months old! More interested in Maclean and wants to play with all the time. Crawling after her big sister. Home made cinnamon oatmeal – can’t get enough of it. Climbing ON and IN everything. When Daddy comes home – she clapped the last time he came home. Pasta – guess it’s just a texture thing. Playing in her playpen while Mommy get’s ready. Being held by her sister. Mittens (and we are just at the start of our cold season). Crawling around extremely fast on one knee and one foot, like a crab! She will copy words now and say: woof woof, app -lll (apple), haa – t (hot), hoo hoo (owl). Went back to two naps a day, thanks to Daddy! Laughing if you do something funny, likes to make funny faces. First time with new (to Hilary) toy. 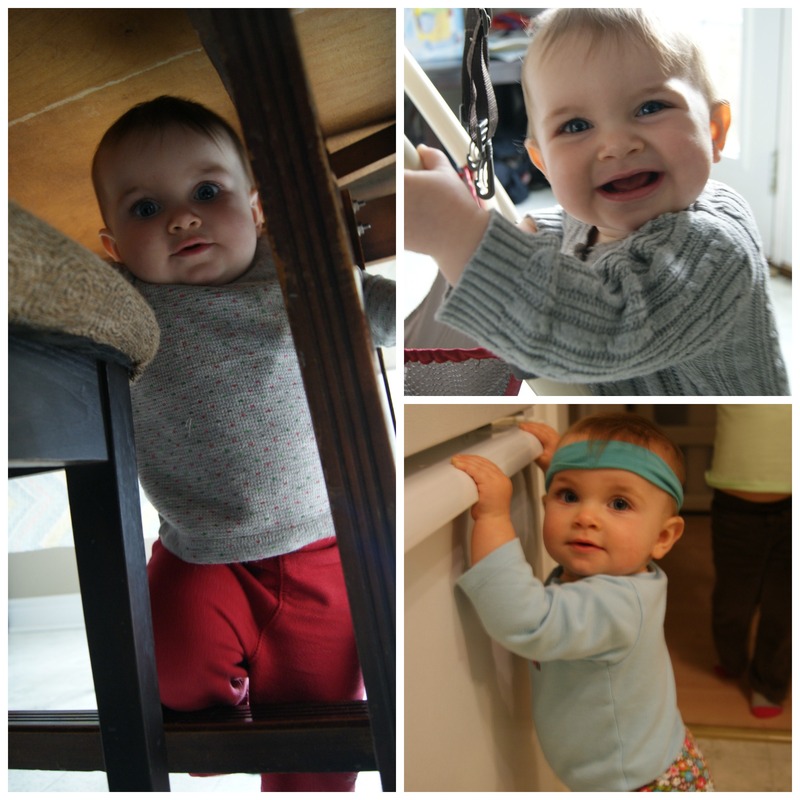 Next Monkey Update will be her 12 month update and birthday! She is too precious! 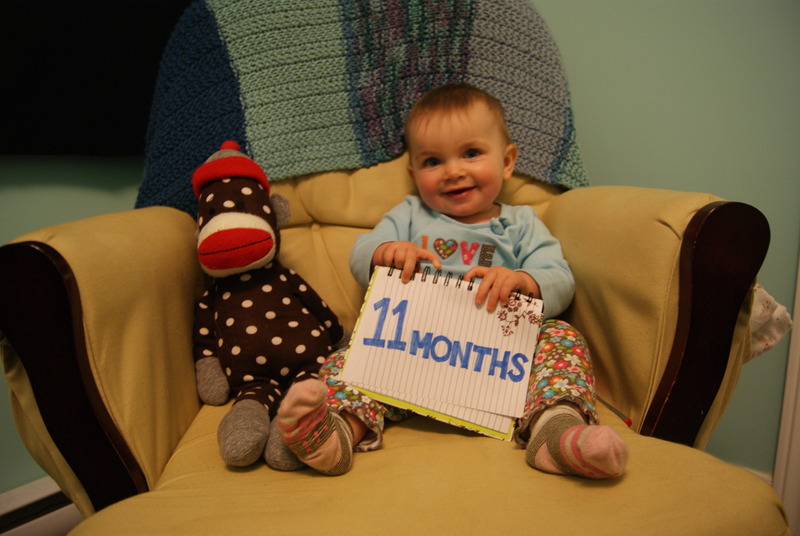 Happy 11 months Miss Hilary! OMG She is out of this WORLD cute! All of them are, I can’t stand it! PS: I am not going to be liking you with this Thigh Challenge here soon, just so you know! Yes, this challenge is about to get nasty…not looking forward to it. But my legs are feeling pretty good since it’s a rest day today – thank goodness!